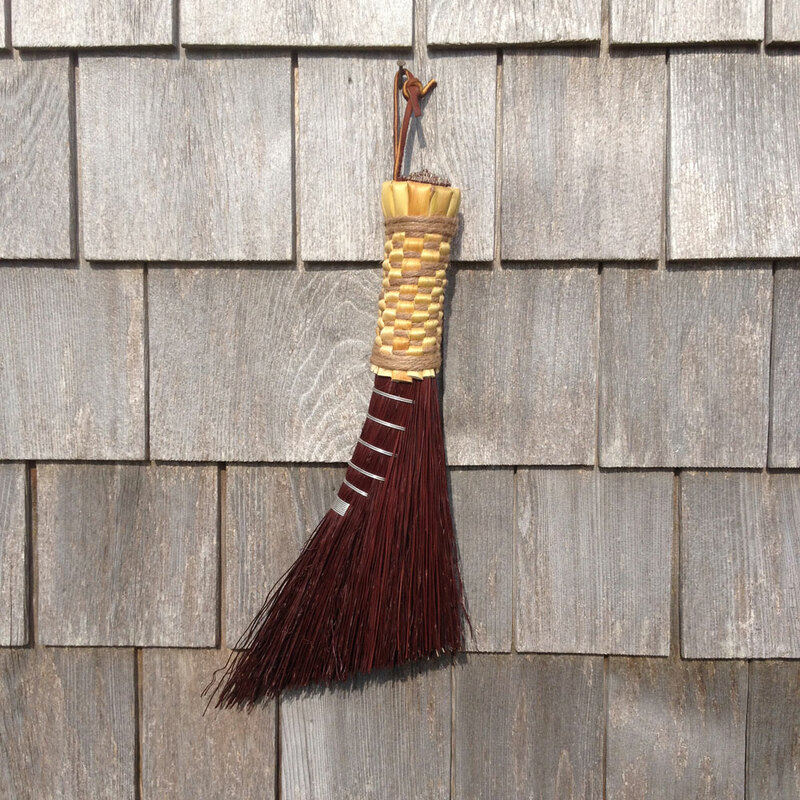 The design of our handcrafted Turkey Wing Whisk broom makes it an exceptionally effective sweeper and a beautiful decorative piece. With its durable and intricately woven handle and its angled sweep, this broom will get at those hard to reach places in your home. 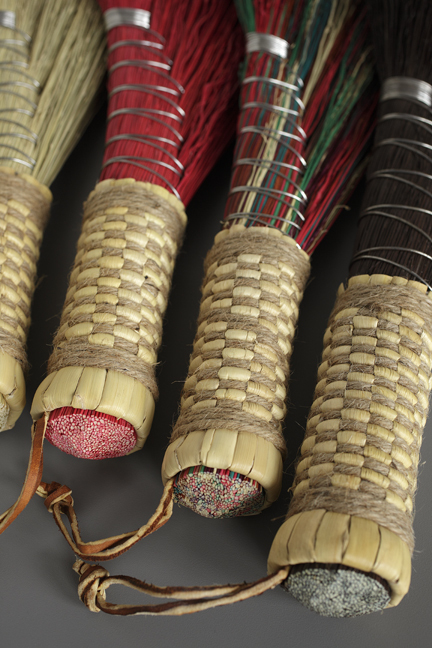 The whisk is made only from broomcorn, bound together with wire and all-natural jute. The Turkey Wing Whisk is great for use outdoors and the perfect tool for sweeping out your car or tent, and for removing lint from clothes. 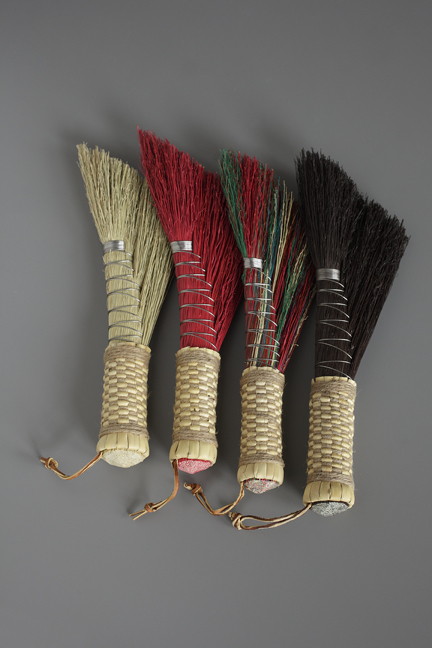 We make this whisk in four brilliant colors using dyed broomcorn: red, dark brown, multi-colored, and natural. A round whisk, available in the same bright colors.